Suitable for a wide range of roofing applications, including flat or sloped roof construction on new build or refurbishment, Esha is a unique environmentally friendly roofing membrane, made from recycled materials. 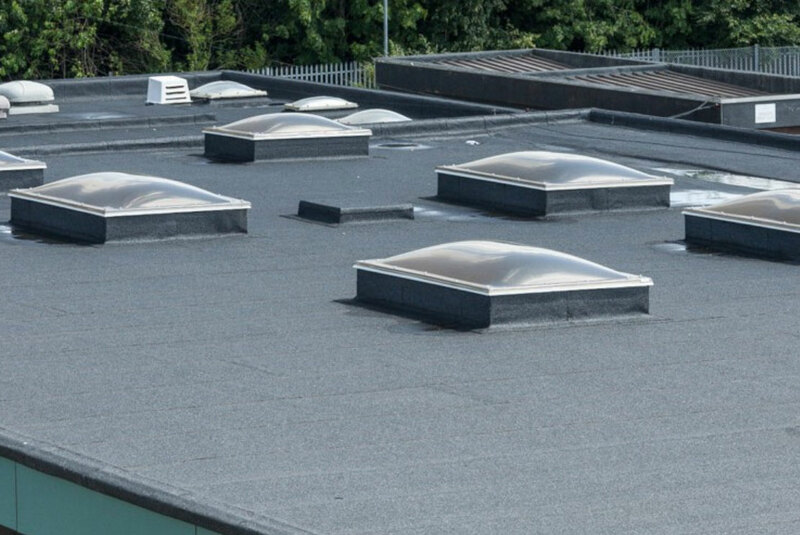 Forming part of a complete refurbishment of the roof at the Guilsborough School in Northampton, the ease of installation,cost effectiveness and proven performance of the Esha waterproofing system from Radmat Building Products has enabled the project to be successfully completed within an extremely tight strict 6 week time frame. 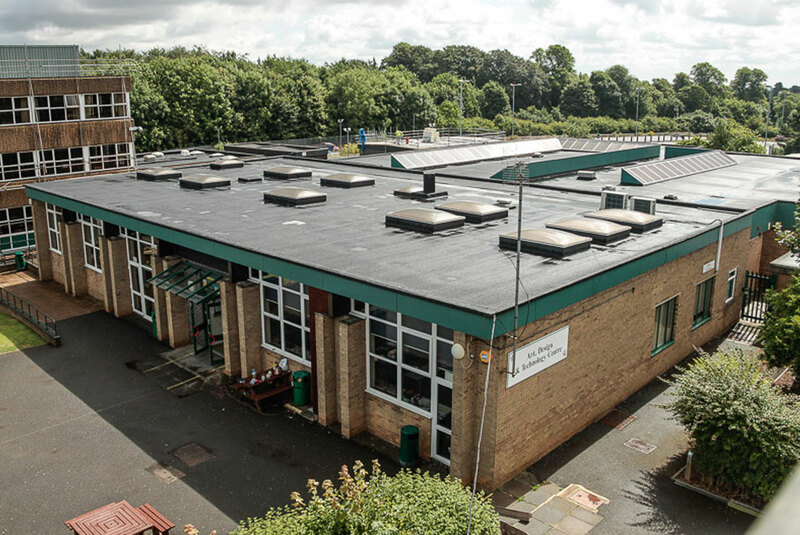 Chosen for its ease of installation, cost effectiveness and proven performance the Esha Overlay waterproofing system was chosen for the four different roof areas which make up the community learning and art design blocks. With the 3,000m2 application needing be completed in the limited timeframe over the school’s summer holiday, a fast and efficient solution was required. 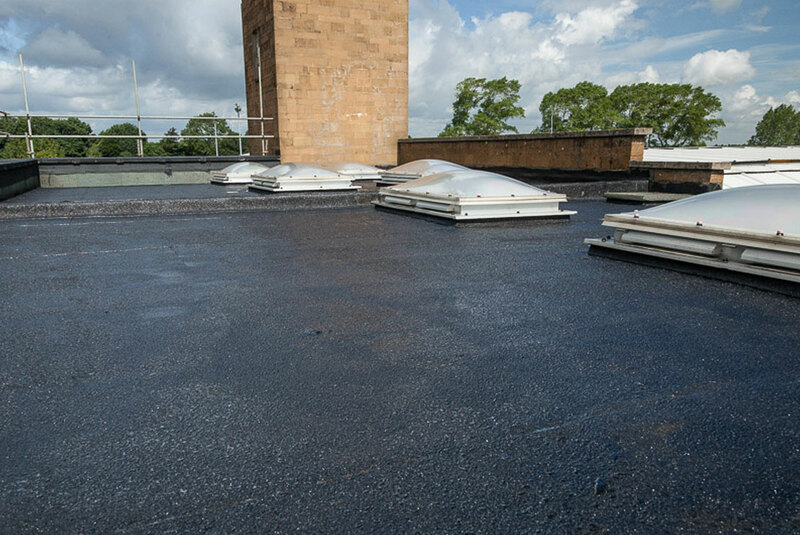 Radmat’s EshaFlex 370 Black Mineral – a torch applied black mineral reinforced bitumen membrane with a polyester and fiberglass composite cap sheet that’s ideal for refurbishment applications – offered the ideal solution. 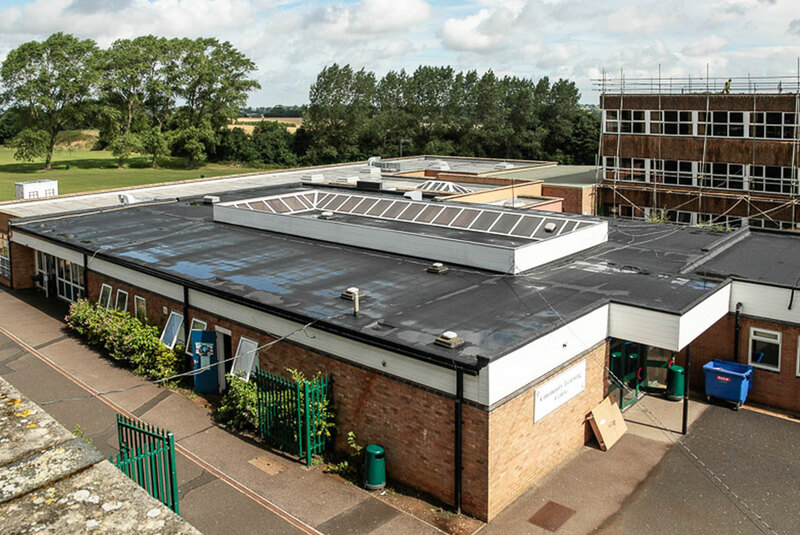 Working closely with Radmat, specialist contractor Higham Flat Roofing completed the 6 week contract with close liaison with the school proving paramount to the project’s successful speedy delivery. Higham Flat Roofing installed the EshaFlex 370 Black mineral over the roofs existing mineral felt membrane. This has been prepared by the cutting out of blisters and damaged areas, making good and then priming with EshaPrimer in order to create a base seal and improve the adhesion of the waterproofing membrane. As part of the refurbishment, Higham Flat Roofing also power washed the external walls, completed some concrete repairs, painted fascias and removed Asbestos cement flues. 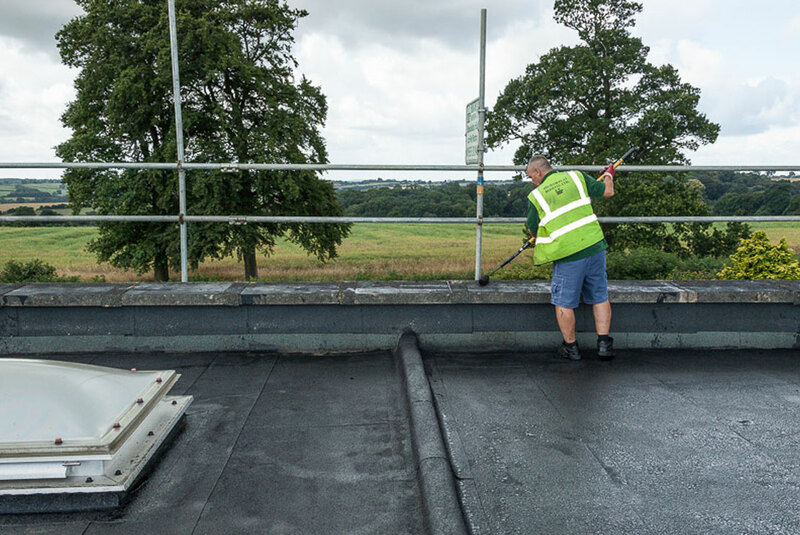 Suitable for a wide range of roofing applications, including flat or sloped roof construction on new build or refurbishment, Esha is a unique environmentally friendly roofing membrane, made from recycled materials. Quick and easy to install, this shrink-free, fully adhered membrane is more flexible and stronger than conventional membranes and has greater stability and durability.